WOW! 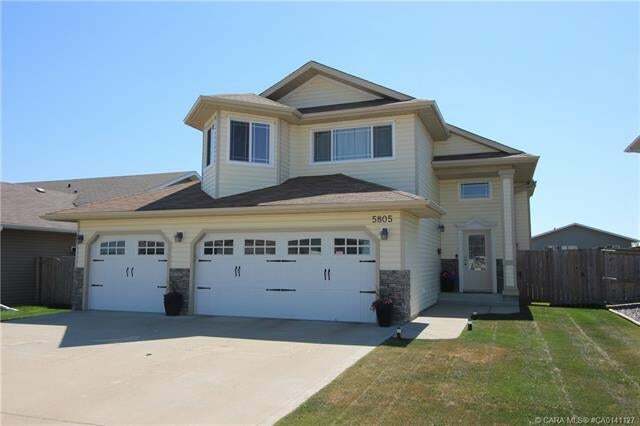 BEAUTIFUL BI-LEVEL, TRIPLE CAR GARAGE - IN CREEKSIDE! Youll Love the Presentation, the Beautiful Bright Open Floor Plan and the Location of this Immaculate Multi-Level Home! Impressive 1,459sq.ft. Bi-Level design with front and back entrances to home and basement! Featuring 9 and vaulted ceilings, beautiful open staircase, columns, arches, display ledges and lots of bright windows. Exceptional kitchen cabinetry, huge island, large breakfast bar, walk-in pantry and all the appliances. Extra bright Dinette with easy access to large tiered deck, great for BBQs. Lovely bright living room and beautiful flex/den area with columns and arches. Spacious Master, Superb Ensuite with soothing soaker tub, separate shower and a huge walk-in closet. Very nicely developed basement with hidden wine closet, huge family/games area, bedrooms, bathroom RI and utility room. Awesome triple car garage! Great yard, fenced, tiered decking, gazebo, alley access and lots more! Youll Love It!